With 2013 right around the corner we had to do our yearly review of the top trends. This year was amazing for the fashion and beauty industries. The popular trends took the world, yes the world, by storm. 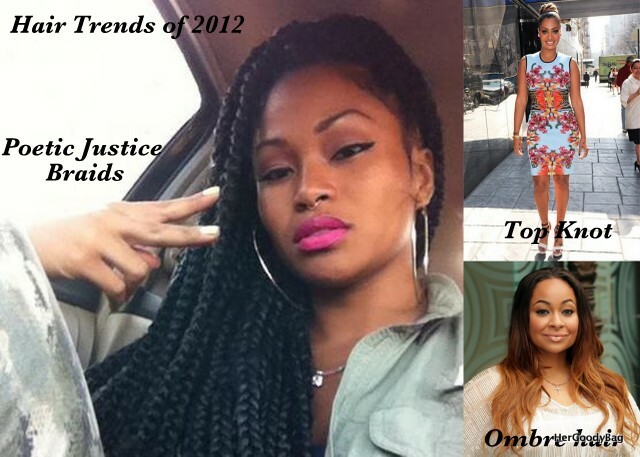 You had everything from oxblood and tangerine, to “poetic justice” braids and wedge sneakers, celebs and fashionistas all over made 2012 a year to remember. 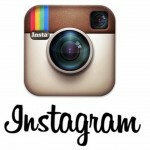 Take a look at the hottest trends of 2012. 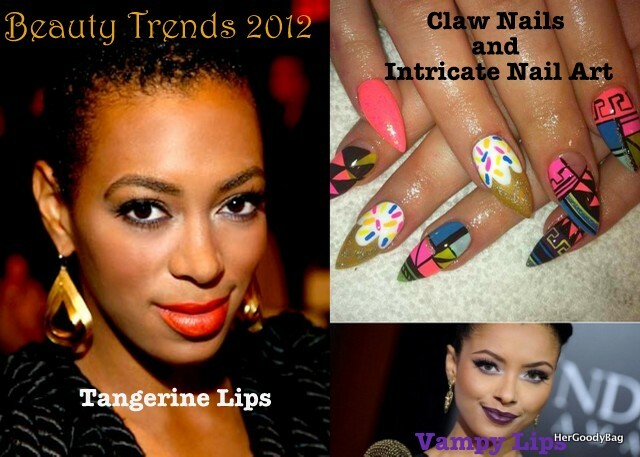 For the spring/summer we saw tangerine lips all of the street and for the fall/winter vampy lips were in control. The nail art craze went to an entirely new level, especially with the intricate designs and 3d application. We can’t forget about the claw/stiletto shape either. Hair- Poetic Justice Braids, Ombre Hair, High Bun (top knot)- none of these trends are new or groundbreaking, but they made a huge comeback in 2012. The most popular would have to be the top knot that Lala is rocking. Everyone from my 5 year old niece to Beyonce took part in this trend. Solange brought back the “poetic justice braids” again this year and even got her sister Beyonce to partake in the trend. Lastly, ombre hair was huge. Everyone from Ciara to Keke Palmer took rocked this look. 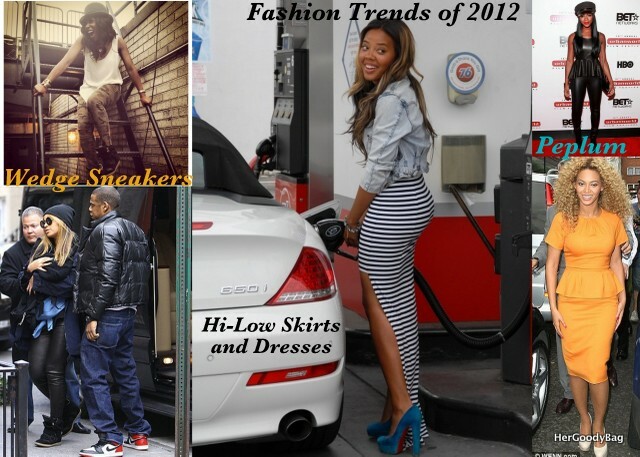 Fashion- Peplum, Hi-Lo (skirts, dresses, tops), Wedge sneakers were huge this year. I mean Tracee Ellis Ross rocked her Isabel Marants and the internet went crazy! Now you can find a dupe pair almost anywhere and in multiple color ways. Then you had the infamous peplum. Whether it was a shirt, skirt, dress, or jacket everyone accentuated their curves with this trend. Lastly, the hi-low trend made a good run. There were hi-low maxis, midis, tops, and more. It allowed you to show a little leg in the front and keep things to the imagination in the back. What was your favorite trend for fashion, beauty, and hair this year?